Sitting for too long is one of the worst things a human being can do, and yet travellers just can’t get away from doing it – and for hours and hours on end. 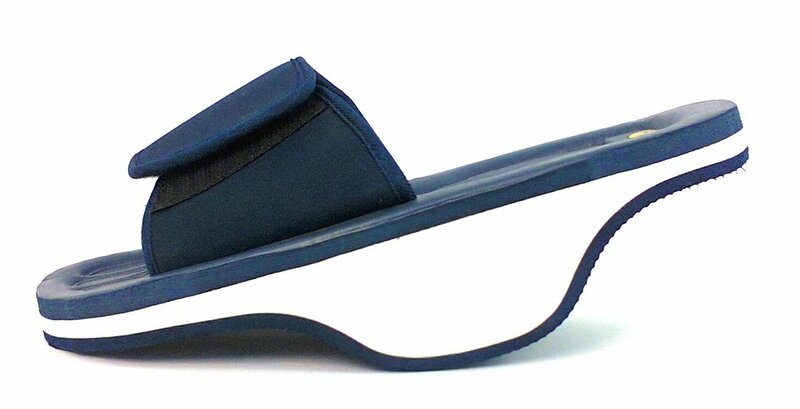 Step forward the Calf Flexors, a pair of inexpensive strap-on soles that help reduce the DVT risk while travelling. Though you can pick-up a pair of anti-DVT socks, they only compress the leg; blood inside the leg is then kept in one place, so they don’t encourage circulation. Blood needs to circulate around the body – especially when on long flights – so what everyone needs is regular legs exercise. Yes, there are some airline passengers who spend the entire journey fidgeting, standing up and hanging about near the toilets doing stretches. I’ve even tried doing that myself, though after about 15 minutes it gets pretty dull. The beauty of the Calf Flexors is that they mean you can exercise easily without shifting from your seat. There are Velcro straps on the top that wraps them around your feet; in my test, on a four-hour flight, I wore them only with socks, but those with small feet could probably get them around flat shoes. It’s recommended that they’re used to gently rock feet back and forth to stretch the calf muscles, for about two minutes in every 20 minutes. It’s important NOT to walk in them, but they’re easy enough to slip on and off even without un-doing the Velcro straps. The recognition that DVT is a problem is about to go mainstream; Apple CEO Tim Cook recently announced that the new expensive Apple watch will alert people to move within an hour of sitting down. The great value Calf Flexors – which weigh just 150g each – are easy to travel with and offer some in-flight exercise without the hassle of getting up and down. Highly recommended for frequent long-haulers. Just don’t walk in them!